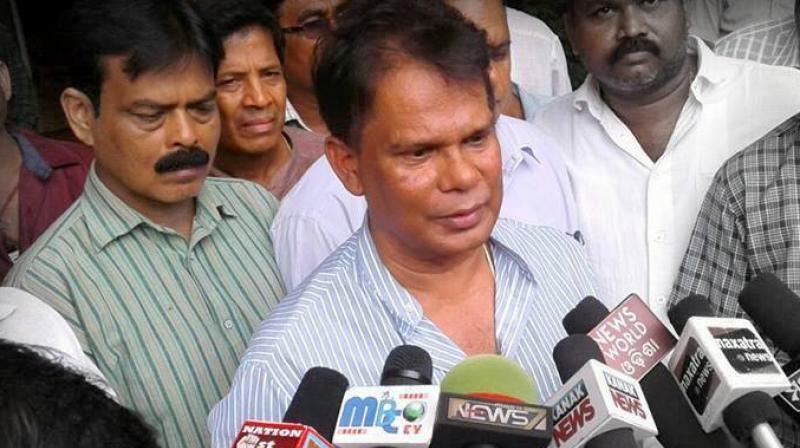 Rourkela politics seems to grow more contentious and complicated by the day, and whether Dilip Ray’s move works well is hotly debated. Odisha Chief Minister Naveen Patnaik‘s recent visit on Biju Janata Dal’s mega-show in Rourkela and Sundargarh district has raised many questions. Though Patnaik was on his election campaign as scheduled, but he didn’t forget to pull the trigger and shoot questions to Prime Minister Modi. Naveen reminded Modi about his promises on Brahmani bridge and super speciality hospital but didn’t utter a single word on Koel barrage, a wholesale market at Balughat, a Medical College and Hospital at Kuanrmunda four years ago for which he had laid the foundation stone. Everything was going ok, until Dilip Ray delivered a googly. As we know recently all the supporters of Dilip Ray have joined BJD senior leader and MLA candidate Sarada Prasad Nayak on his command. When everyone started assuming Dilip’s strong stand against BJP and Modi will help Sarada, he did completely opposite and wrote a letter to PM Modi thanking him for speeding up the process of Brahmani bridge and Super speciality hospital. Against this backdrop of political strategy, shifting support, and multi-layered loyalties of Dilip Ray supporters, it’s time to see how citizens vote for their representatives at elections.